You can order the kit by emailing me. The cost is GBP73 including shipping. If you live in the UK, then I don't pay so much postage, so I only charge GBP65. I apologise for this increase, but I can't subsidise the recent increases in international shipping charges any more. The Tektronix SG504 is a levelled sine wave generator that covers the frequency range 245MHz to 1050MHz in two bands. It uses an external levelling head part number 015-0282-00. The SG504 is frequently seen for sale, but more often than not without the necessary levelling head. The levelling heads very rarely appear for sale, and often command very high prices or don’t work properly. I decided that there must be a market for a kit to replace the “guts” of a failed levelling head, or to allow a complete replacement to be constructed using a suitable housing. 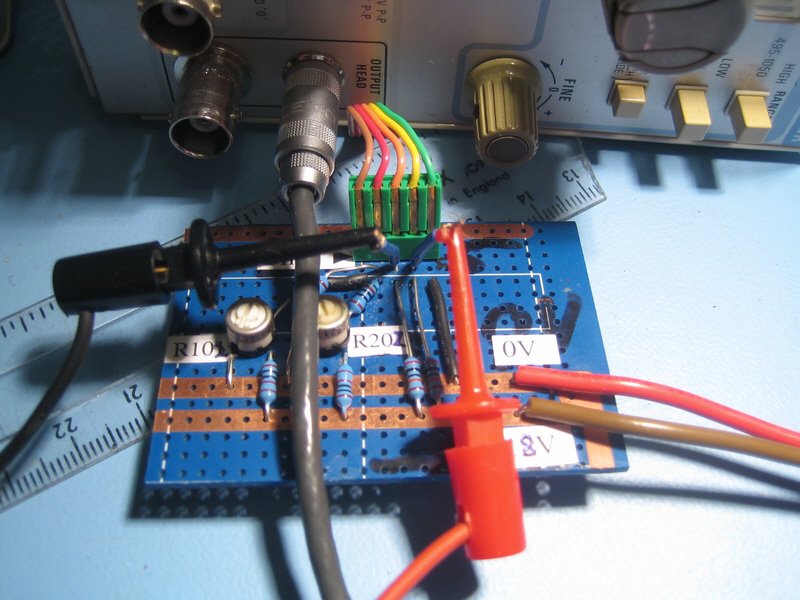 The basic design is an RF power splitter, and a voltage doubler peak detector. 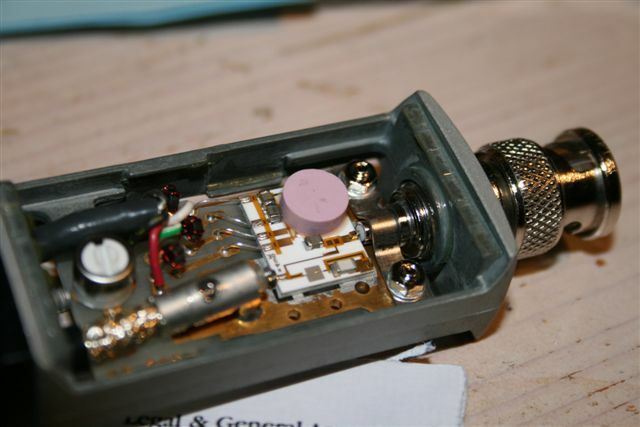 The diodes for the detector are under the pink isothermal cover at the top right of the hybrid, as are the reference diodes and a few other components. 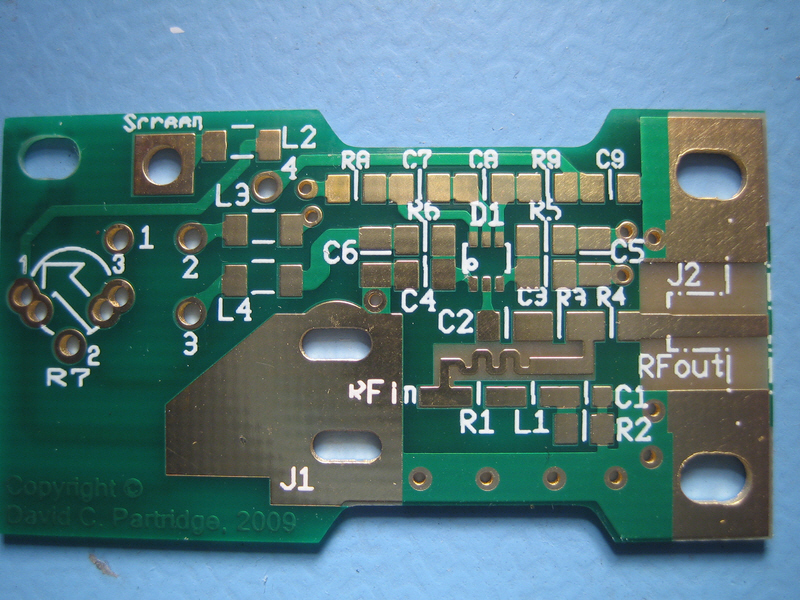 As I don’t have access to a hybrid fabrication plant, I decided that I would design the replacement PCB using surface mount components on a double sided 0.8mm thick PCB. The only concern was whether standard FR4 substrate would do the job, or whether it would be necessary to use an “exotic” (read expensive) substrate like Rogers 4350B. Extensive RF simulation of the crucial parts of the PCB design using Ansoft Designer SV indicated that there should not be a problem with using FR4. The obvious choice for the detector diodes seemed the Avago Technologies HSMS-282x range. 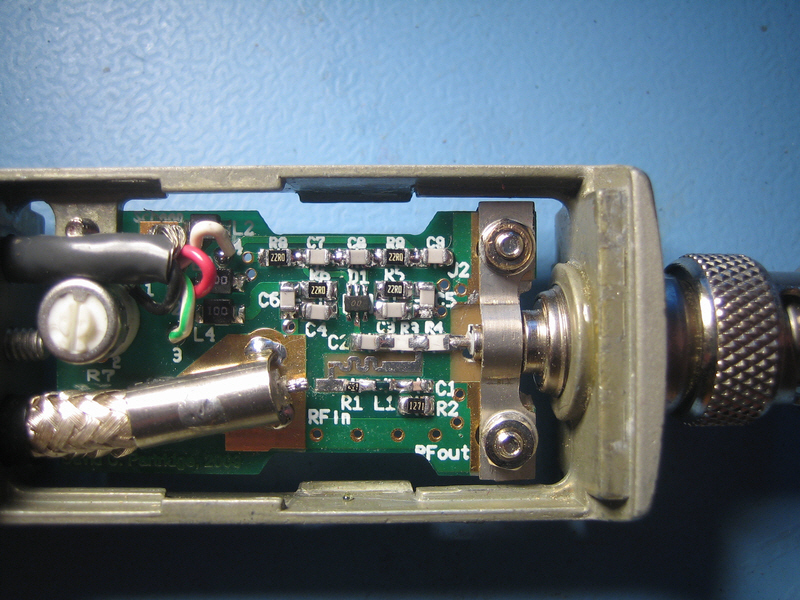 I eventually decided to use the uncommitted Ring Quad HSMS-282R, as this would ensure better thermal tracking between the reference diode pair and the detector diode pair. A possible alternative would have been to use two HSMS-282K, or two HSMS-282C, but the latter offered no advantage and used more board space, while for the power levels involved (-1dBm to +19dBm), the balance seemed to favour the use of the HSMS-282R. 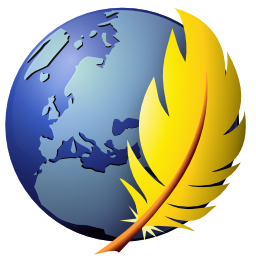 This was confirmed by Avago Technologies technical support. The PCB is designed to be used either in your own case; or in the original Tektronix housing (if you have a dead levelling head). To use it in your own case I have provided pads for an SMA bulkhead end launcher at the right hand side. In this case, as well as the SMA end launcher you will need an SMA male to BNC male adapter. If you are going to use this in the original Tektronix levelling head housing, you will need to cut out the area that is partially marked in silk screen on the RHS of the PCB. My apologies it is not as clearly marked as intended, the fabrication plant decided they didn’t like silk-screen on bare copper and removed the dashes, but thankfully left the dots! 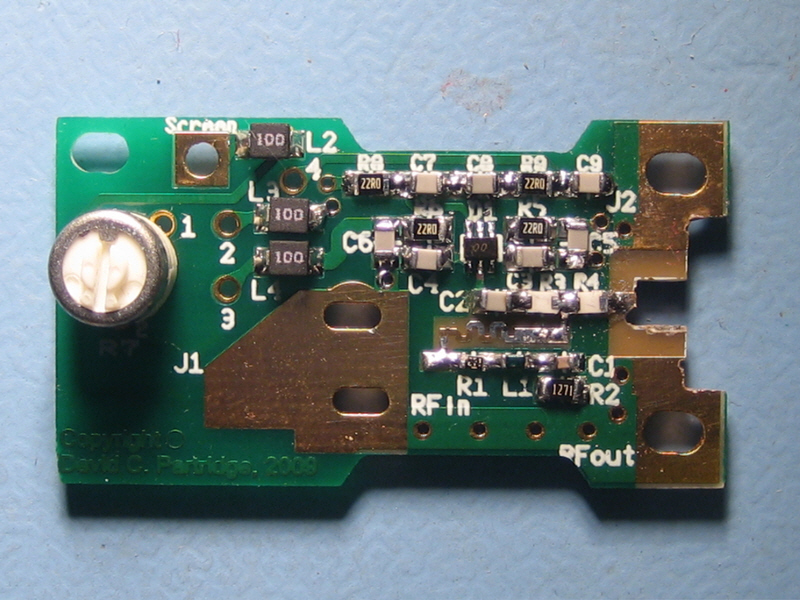 To construct the board, you’ll need a fine tipped soldering iron, some very fine solder, and liquid SMT rework flux. I strongly suggest that you install the detector diode first, and work out from there. It doesn’t matter which way round the detector diode is mounted by the way, which helps a lot as pin one isn’t marked! I hope you make a tidier job of the cut-out than I did! 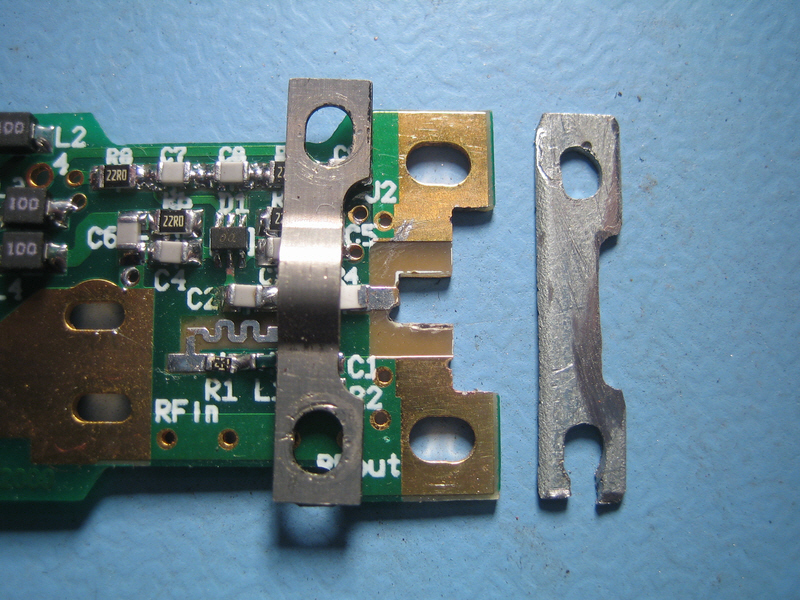 You should notice that the 50 Ohm (strictly 49.9 Ohm) resistors R3 and R4 which make up the power splitter are mounted face down. 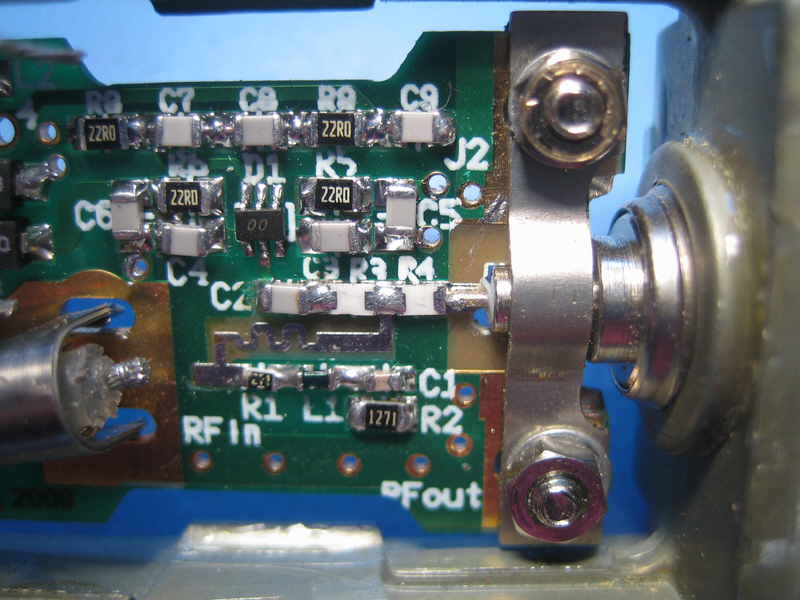 This was done deliberately to minimise stray inductance. 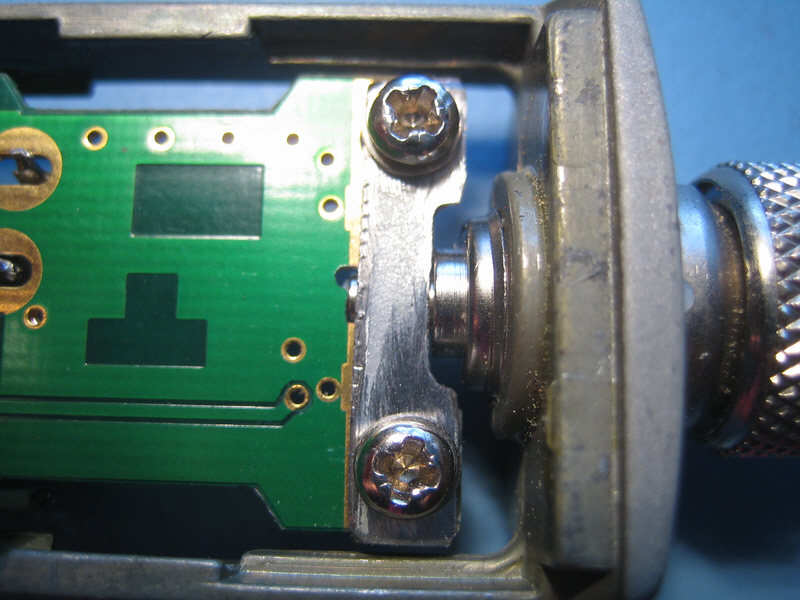 The trim-pot (R7) is used to calibrate the head for mismatches between the detector and reference diodes. In theory the HSMS-282R diodes are sufficiently well matched that I could have substituted a pair of 510 resistors for the trim-pot, but I decided to retain the same design in this respect as the original levelling head. The calibration circuit is quite simple, and the schematic is at the end of the document. I made it up on a piece of stripboard. The first thing you will need to do is connect the calibrator to a lab PSU set for 18.00V (make sure you get the polarity the correct way round). Then there is a “one time action” to calibrate the calibrator which involves adjusting R102 and R202 as described on the schematic page. Once you’ve done that, you connect your voltmeter as shown and adjust R7 in the levelling head for lowest possible voltage between pin 3 and pin 4 (<1mV or better). Once you’ve put the SG504 back together, there is a final step that needs to be taken. You must re-adjust R280 and R270 in the SG504 according to the instructions in Step 7 Adjust Reference Amplitude at 0.05MHz on page 3-6 of the SG504 manual. You should also check that the 6MHz output levels are correct. As you can see the worst case deviation of the output is [+0%, -2%] which is within the specifications of [+3%, -3%] as set by Tektronix, and only very marginally less good than my original head after I had adjusted the trim-pot.